CARFAX Canada is Canada’s definitive source of automotive information, delivering vehicle history, appraisal and valuation. Drawing on billions of data records from thousands of unique sources, its products enable used vehicle buyers and sellers to make informed decisions. Formerly known as CARPROOF Corporation, CARFAX Canada is trusted to provide impartial and comprehensive information to dealerships, vehicle manufacturers, consumers, major auctions, governments, insurance providers and police agencies. Carfax Canada is electronically connected on a real-time (“live”) basis to its data sources. This means that the data is always current and not outdated. Other services purchase data dumps periodically, leaving the chance that recent important data is not included in their reports. Carfax Canada is the only service that provides consumers with Canadian insurance and accident claims data. Through their live connection to comprehensive databases that service the Canadian insurance industry, Carfax Canada provides data from Canada’s private insurance industry along with the public insurer in Saskatchewan. Carfax Canada also has a product (“Verified BC”) that instantaneously searches the database of the Insurance Corporation of British Columbia (ICBC). In addition to all of the above, Carfax Canada reports also provide consumers with data from one of the largest U.S.-based vehicle history services, Experian Automotive. Through their live connection to Experian’s 2 billion+ record database, all Carfax Canada reports include the data you would get from other popular U.S.-based vehicle history services, including a Lemon Search. Simply put, Carfax Canada supplies the most comprehensive vehicle history report available to Canadian consumers. The fact that the vehicle you are interested in comes with a Carfax Canada report means that you can be confident in the integrity of both the vehicle and Maple Ridge Volkswagen, thereby allowing you to buy with confidence. Look for the Carfax Canada logo while browsing the Maple Ridge Volkswagen vehicle inventory to view the CarFax Canada report on that vehicle. 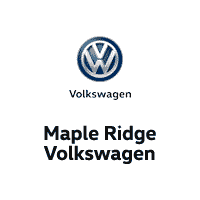 If the vehicle you’re interested in does not have a report online, please contact the Maple Ridge Volkswagen sales team with the stock number of the vehicle you are interested in and they will gladly provide the report. What’s in a Carfax Canada Report?